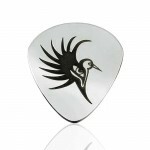 Create your own solid sliver guitar pick! 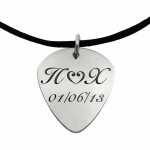 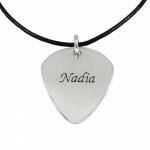 We can engrave, an image, a personal message, a name, a date, what you wish, by selecting one of the fonts. 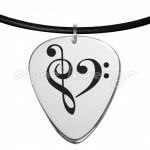 It can also be a pendant or a key-ring. 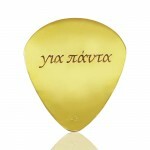 It can also be gold-plated in 24K solution. 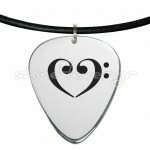 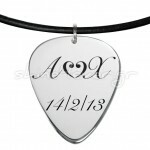 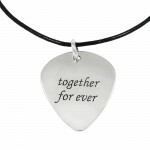 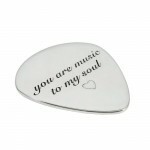 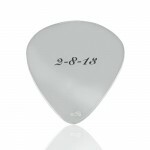 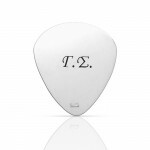 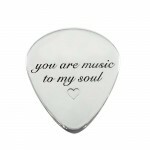 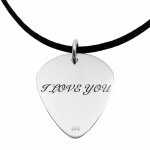 The dimensions of the solid silver 925° guitar pick are 2.5cm x 3 cm x 1mm (thick). 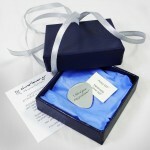 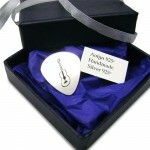 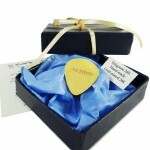 The solid silver guitar pick is totally handmade in our workshops and is offered in a gift box and accompanied by a certificate of authenticity and guarantee. 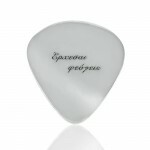 In the case of larger sizes or any other questions, please contact us. 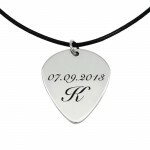 BUY now on line: Press on one of the above links according to your preference and make your order through our e-shop fast and easy! 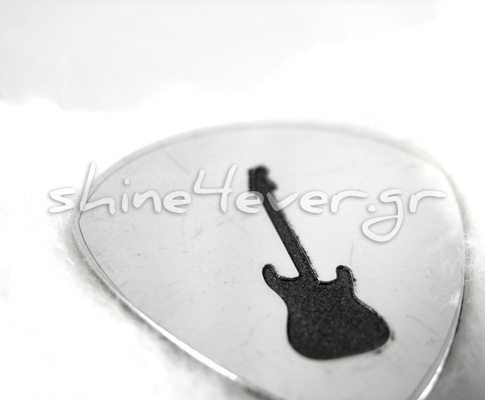 Call us at +30 210 9964 841 or e-mail us at info@shine4ever.gr. 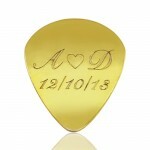 *Creation time for the silver guitar pick is 3-4 days and for the silver gold-plated 24k guitar pick is between 5-7 days, due to metal processing.